6 pm Launch of Bandon Culture Trail 2018 and a performance by local Comhaltas musicians at Bandon Further Education and Training Centre on Weir street. 6.50 pm Songs and stories with singer/songwriter Gerard O’Callaghan at Bandon library. Gerard is also a long established member of Mallow Pipe Band. A number of his marvellous stories have been broadcast on RTÉ’s “Sunday Miscellany”. 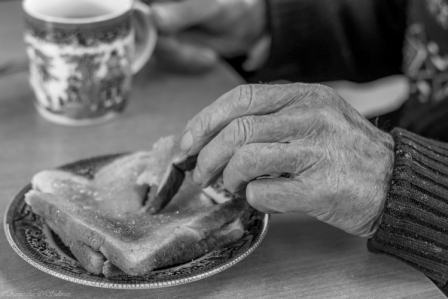 7.40 pm Cheese & wine reception and launch of a photographic exhibition celebrating the diverse interests and creativity of older adults in Bandon at the old PTSB building South Main Street. Local photographer Ag O’Sullivan took the photographs over a four month period at Bandon Day Care Centre. 8.30 pm Entertaining scenes from dramatic productions performed by students of Pam Golden Drama at West Cork Heritage Centre on North Main Street. 9.15pm Performance by Bandon Concert Band at Bandon Town Hall. The band has a vast repertoire of music which includes the fantastic sound of the big band era, the great masterpieces of the classical composers, marches, hits from Broadway musicals and popular classics. 9.50 Complimentary light refreshments and closing of Bandon Culture Trail 2018.